Thanks to our hardworking community members! 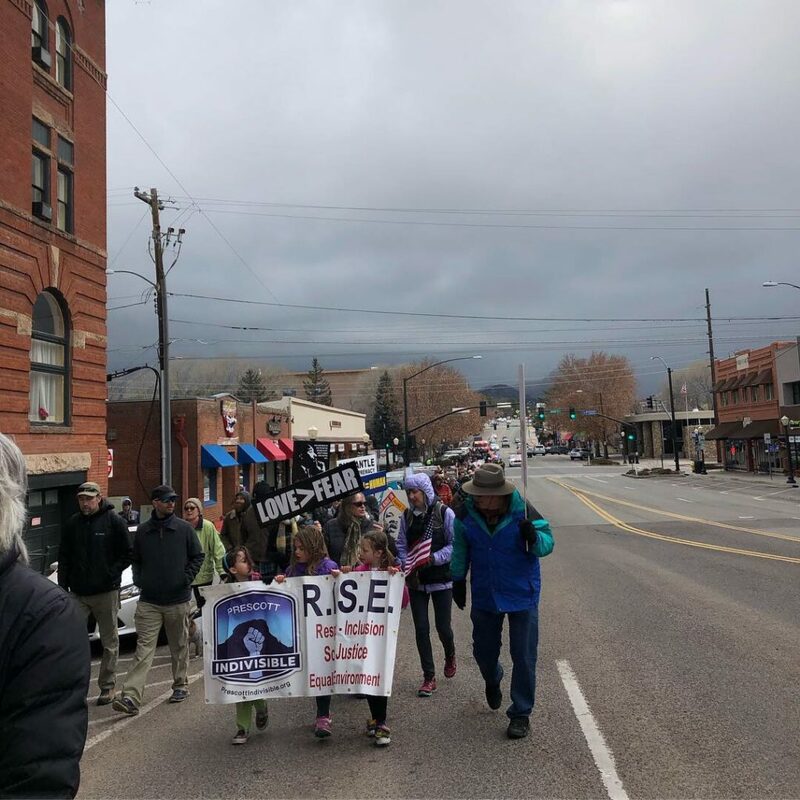 Stepping Stones Agencies had the privilege to take part in the MLK March and Day of Service on January 21, 2019 – a fun-filled, and important event during Martin Luther King, Jr. Day. We were one of the several organizations asked to take part in this memorable event. It was such an amazing sight to see! 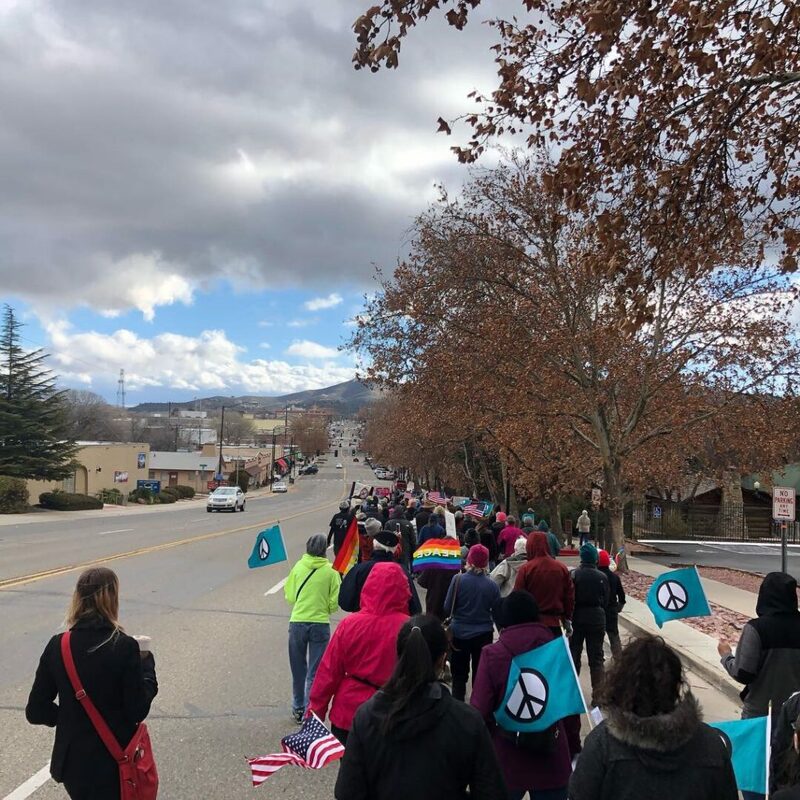 People from all backgrounds came together rallying and spreading the need for change. Everyone in attendance had the opportunity to give back by serving at any one of the listed organizations. Stepping Stones welcomed a total of 40 volunteers that day including our friends from ASU’s Devils Spark Change group. 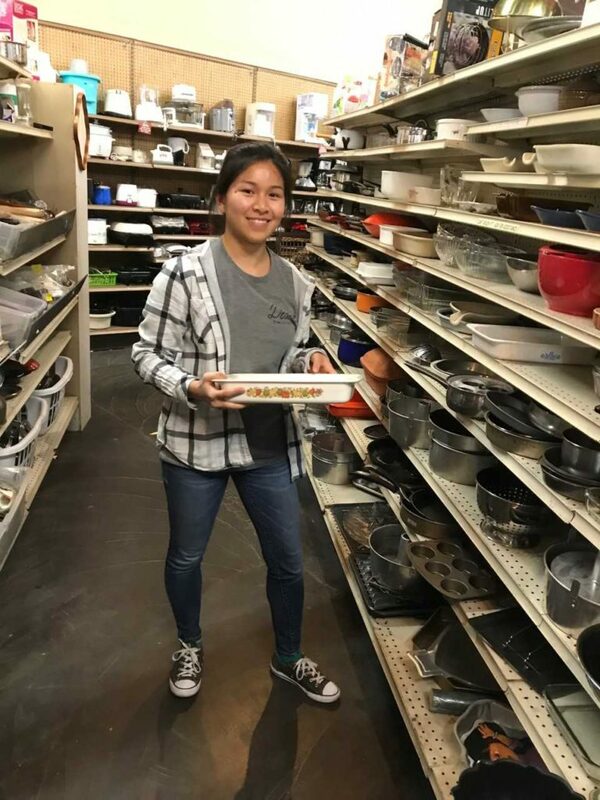 Along with local community members, they served at our three thrift store locations; the Clothing Outlet, Red Barn, and Goodwin Thrift Stores were lucky enough to host these outstanding volunteers! They proved how easy “giving back” can really be! 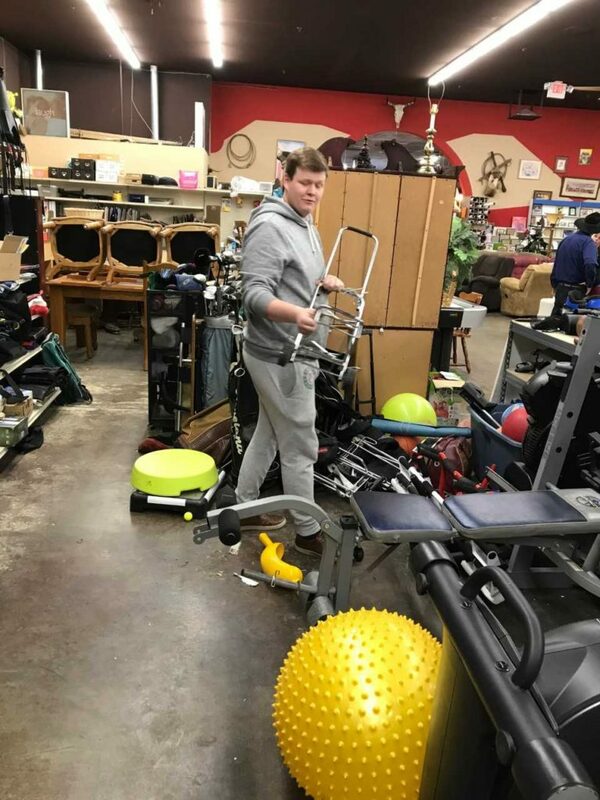 Projects consisted of sorting through and pricing donations, rearranging furniture, folding blankets, hanging up clothes, and greeting our guests. This event proved to us that there are many individuals in our community believe our families can live free from all forms of abuse. The service project may have only been half a day, but the experience created awareness and opportunities for the future. We want to give a HUGE thanks to all of you who chose to give back. We hope that because of their services, it shows that you too can make a positive impact! 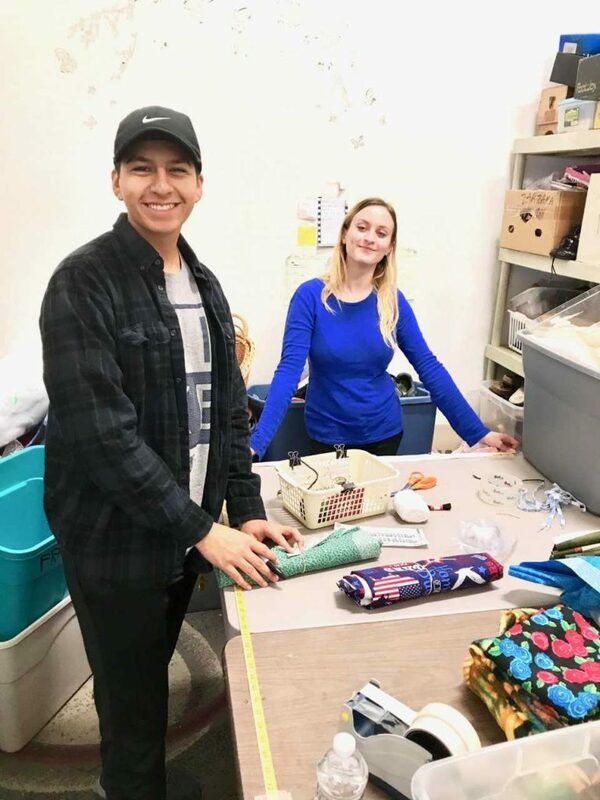 If you are interested in volunteering, or have a group, business team, or organization looking to give back, please feel free to reach out to our Volunteer Coordinator, Jesus at 928.772.4184. You may also email him directly at jesus@steppingstonesaz.org. 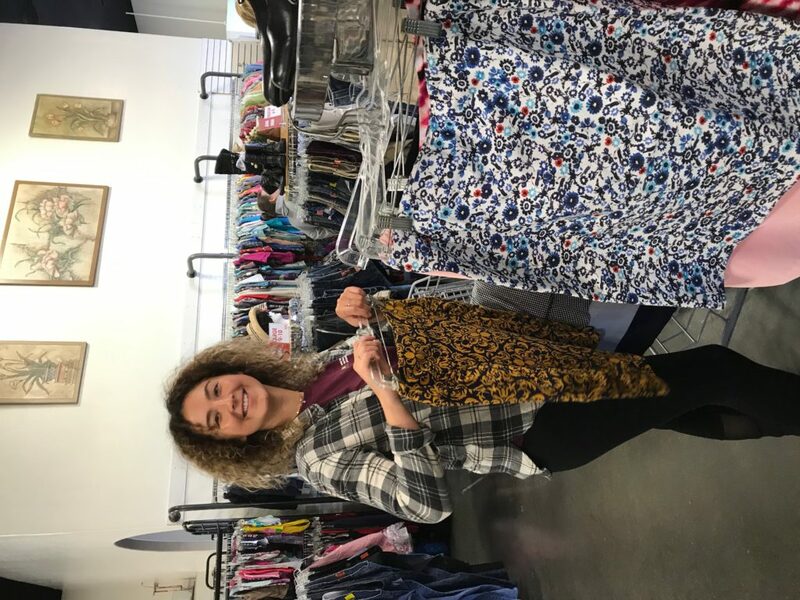 There are many volunteer positions available at our thrift stores. We are always looking for happy, humble, and goal oriented people who wish to support the local families we serve 24/7/365. Thank you for making a difference in the community with us! 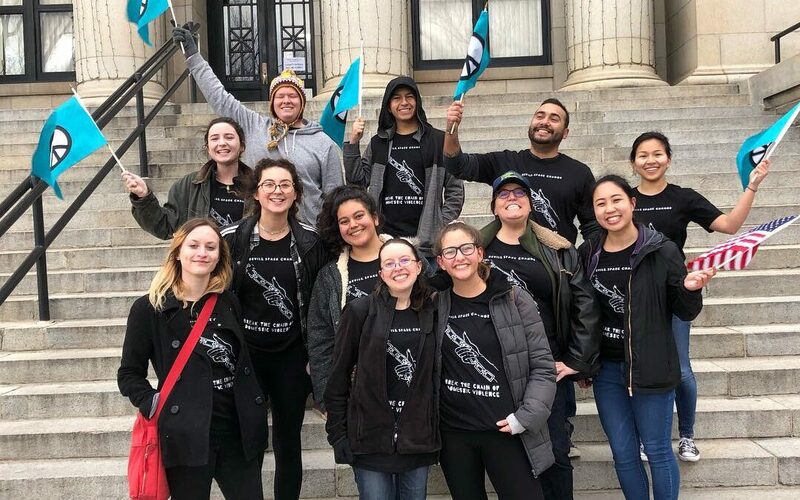 Here are few more photos from the day of service and march! Thanks to our friends from ASU’s Devils Spark Change for traveling to Prescott and serving all weekend!